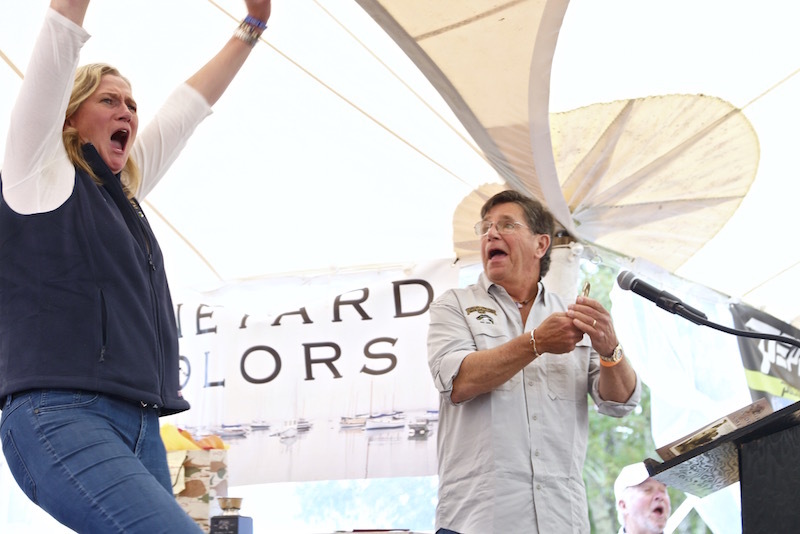 Longtime derby volunteer Trish Lyman reacts after winning a new car for her boat caught false albacore. 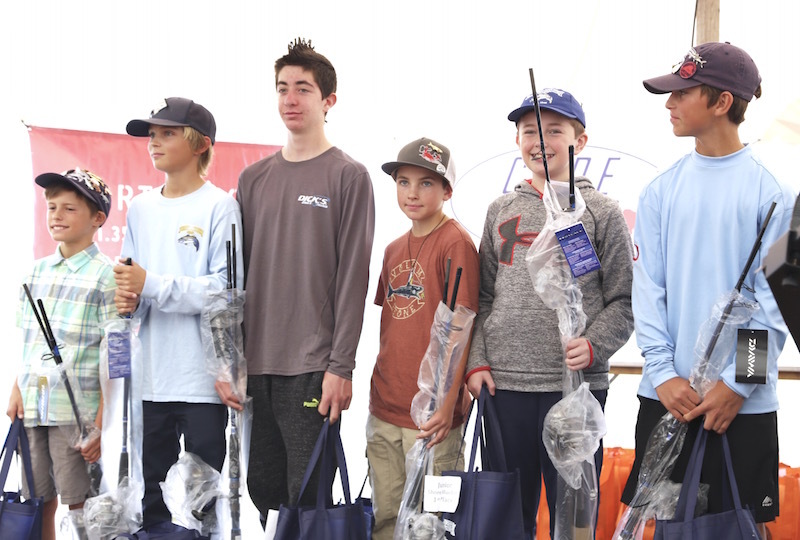 The 72nd Martha’s Vineyard Striped Bass and Bluefish Derby is in the books, with plenty of fish, plenty of surprises, and plenty of excitement for the record 3,382 anglers who participated this year. This derby has been full of surprises for Trish Lyman of Edgartown, not the least of which was the surprise of hearing the distinct click of a key in a padlock, which won her a new car at the derby awards ceremony Sunday afternoon. Ms. Lyman has been a derby volunteer for the past 11 years, helping out at the weigh station and with derby merchandise. Her derby duties, along with those of other non-profit organizations she supports, often leave her little time to fish, but she got some time on the water late in the derby with her fellow volunteers, and landed a 12.23 pound false albacore. Ms. Lyman said volunteering for the derby is very important to her. John Stasiuk, a seasonal resident of the Vineyard from Northford, Conn. said he was surprised that his name stayed on the grand leader board from the first day to the last. His 29.61 pound striper caught from shore earned him a derby key, and when it clicked open the lock, he won a new boat and trailer. It often takes a bigger fish to win the shore bass division, so Mr. Stasiuk wasn’t all that caught up in checking the leader board. He just kept fishing. He didn’t catch a bigger bass, but no one else did either. 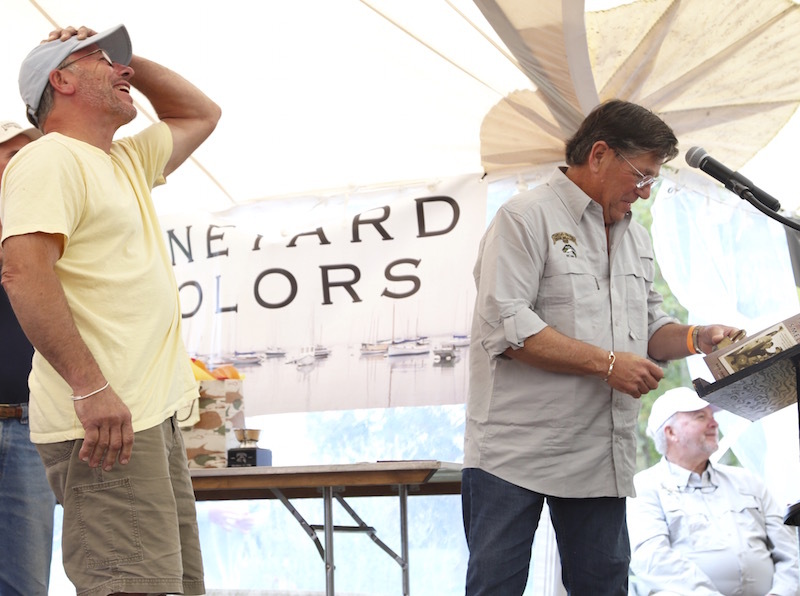 The grand prize was donated by Cape Codder Boats of Lynn. Also Sunday, derby president Ed Jerome announced two new inductees to the derby hall of fame. John Custer, principal of the Tisbury School, fished the derby when he was young enough to enter the junior division, and is in his second stint as derby chairman. 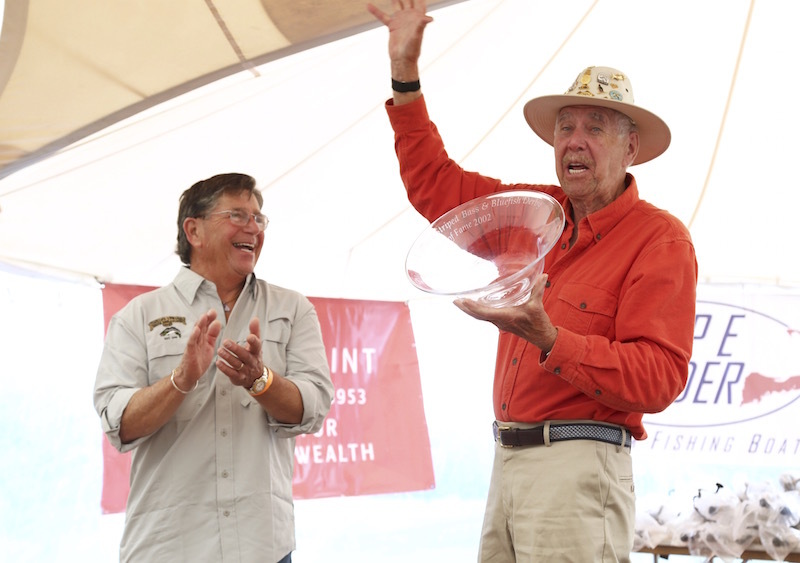 Mr. Jerome said that during Mr. Custer’s tenure as chairman, the number of participants in the annual fishing tournament has doubled, with a corresponding increase in the amount of scholarships awarded to Island kids. Mr. Custer will be succeeded as derby chairman next year by Joe El-Deiry. Also inducted into the hall of fame was Ed Amaral, who weighed his first derby fish in 1947. Mr. Jerome said Mr. Amaral personifies derby sportsmanship, sharing his knowledge and enthusiasm for fishing with others. 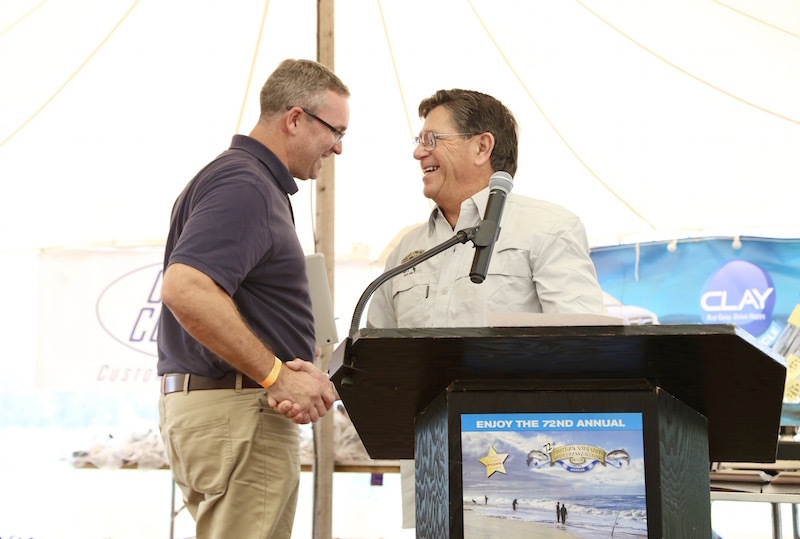 Mr. Amaral was the grand leader in the boat bluefish division last year and won the grand prize, a Chevrolet truck. More photos from the end of the derby. Congratulations Ed Amaral what a honor. Thanks for teaching me how to fish all over the island.